A fresh collection of a cappella holiday favorites from the documentary film "Tis the Season." The documentary film "Tis the Season" explores the world of professional Christmas caroling in Hollywood, California. Before shooting began, This 'n That Films recorded four carolers singing traditional favorites for use as background music in the film. 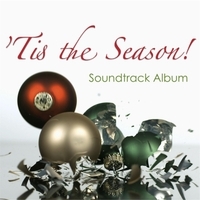 This album features tracks used in the documentary, as well as a few other carols that didn't make the final cut. For more information on the film, please visit our website at http://www.thisnthatfilms.net/tis-the-season.html.